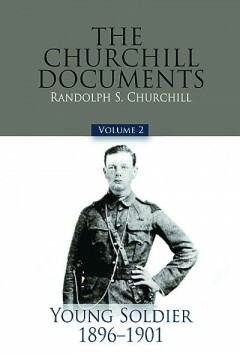 The second of the volumes of The Churchill Documents, Volume 2: Young Soldier, 1896–1901 sets out, along with Volume I, all the documents relevant to the first volume of the biography, Winston S. Churchill: Youth, 1874–1900. When an extract or quotation appears in the narrative volume, the complete document appears here. Where space prevented the inclusion of a contemporary letter in the narrative volume, it is included here. The young Winston Churchill led a varied and dramatic life in his first twenty-two years. From his childhood disputes with his parents and at school, and his struggles as an officer cadet to master the art of military life, to his first visit to New York and his remarkable impressions of that city, to his dangerous journey through war-torn Cuba as an eyewitness to the Spanish Army’s attempt to crush the Cuban insurgents, he set down his thoughts in letters that are vivid, well-argued, witty, and full of passion. The intensity of his feelings, the breadth of his opinions, and his tenacity of purpose shine through in these early years, as he gathered the will and determination to confront the world. The eight-volume biography of Winston S. Churchill — begun by his son, Randolph Churchill, and completed by Martin Gilbert following Randolph’s death in 1968 — was based on documents from the Churchill papers and from more than one thousand other archives, both public and private. 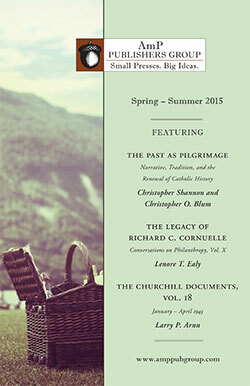 Among the many archival jewels are Churchill’s most private and personal letters from his early childhood to his old age, uncensored family correspondence, the letters and diaries of his closest friends and fiercest opponents, secret diplomatic telegrams, and the daily exchanges of an active politician, a prolific writer, a vivid journalist, a historian, a painter, and a man of action. Churchill’s personal papers are among the most comprehensive ever assembled relating to the life and times of one man. They are so extensive that it is only possible to include in the narrative volumes a part of the relevant documents. The volumes titled The Churchill Documents were planned to run parallel with the narrative volumes, and with them to form a whole. Randolph S. Churchill, the only son of Winston Churchill, was born on May 28, 1911. Educated at Eton and Christ Church Oxford, he became a widely read journalist in the 1930s, reporting at first hand on the German elections of 1932 and warning of Hitler’s military ambitions. In the 1930s he fought three vigorous but unsuccessful campaigns to enter Parliament. In the Second World War he served as an intelligence officer at General Headquarters, Middle East, and in the Special Forces in the Western Desert. In 1944 he volunteered to the parachute behind enemy lines to serve as a liaison officer with the Yugoslav partisans. For his war services, he was awarded the MBE (Military). For the five war years he was a Member of Parliament for Preston. He was three more times an unsuccessful candidate – in 1945, 1950, and 1951. Between 1938 and 1961 he edited six volumes of his father’s speeches. His own books include The Rise and Fall of Sir Anthony Eden; Lord Derby, King of Lancashire; The Six Day War, a history of the six-day Arab-Israeli war of 1967, written with his son, Winston; and the first two main and five document volumes of the biography of his father: Youth, 1874–1900 and Young Statesman, 1901–1914. A trustee of the Winston Churchill Memorial Trust and an Honorary Fellow of Churchill College, Cambridge, Randolph Churchill died at his home Stour, East Bergholt, Suffolk, on June 6, 1968.